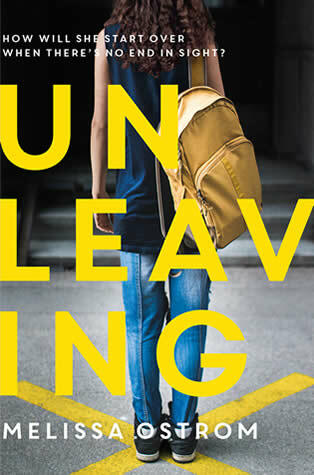 Melissa Ostrom is the author of the new young adult novel Unleaving. 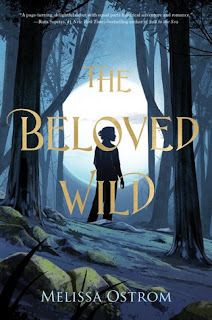 She also has written the YA historical novel The Beloved Wild, and her work has appeared in a variety of publications, including The Florida Review and Quarter After Eight. 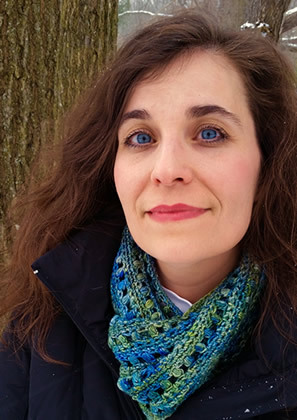 She teaches English literature at Genesee Community College, and she lives in Holley, New York. Q: How did you come up with the idea for Unleaving, and why did you decide to write about the aftermath of a campus sexual assault? A: It’s hard for me to pinpoint the precise impetus for Unleaving. I think it stemmed from a combination of things: stories in the news, discussions I’d had with students at the local college where I teach part-time, books I’d read, and reflections on my personal experiences, plus the ache that all of these, together, engendered: a knot of outrage, fear, and sympathy. So often, news coverage of a critical event, including any publicized incident of sexual assault, is like a fire that flares fast but dies quickly. There is always new news that needs to be covered. Victims of sexual assault, however, can’t move on nearly so quickly. I wanted to explore the aftermath of such a traumatizing event, pay attention to it, and show how challenging and complicated—on account of internal and external forces—the physical, emotional, and mental recovery can be. Q: Your previous novel took place 200 years ago, whereas this one is set in the present. Was your writing process similar, or were there differences this time? A: They felt very different. 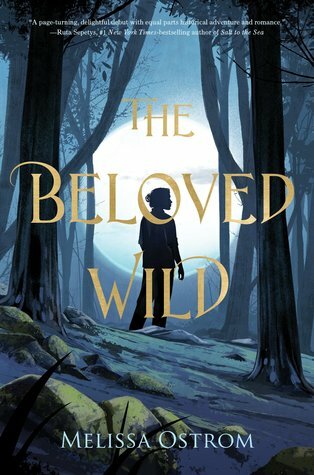 Writing The Beloved Wild required me to do two things simultaneously: create a compelling narrative and tell it in a historically accurate way. I couldn’t just relate Harriet’s story. Slang, farming practices, dances, holidays, the interior of a tavern, spinning, maple sugaring…so many period details! I had to get them right. Crafting Unleaving was maybe a little easier, research-wise, but it was harder emotionally. Though not without lightness and hope, Maggie Arioli’s story is tough. Even as I struggled to work on it, however, I knew I needed to finish it. I sensed it was an important story to share. I’ve always loved this poem, its quiet melancholy and poignancy. Reading it now, I can almost hear the whisper of leaves drifting from the trees. It’s a poem about loss—not merely the loss of youth but, more specifically, the loss of innocence, of the naïve and tender way children experience the world. My novel is also about loss. The sexual assault robs Maggie of her peace of mind, sense of safety, and ability to trust. When she comes forward and seeks justice, her loss is compounded by the backlash she faces. The hurtful and hateful reactions damage Maggie’s faith in people’s capacity for goodness and fairness. Also, the child’s name in this poem touches me personally. Margaret was the name of my maternal grandmother, someone I never got to know. She committed suicide when my mother was a teenager. Choosing that name for my protagonist felt right: a nod to Hopkins’s poem, certainly, but also a way for me to honor a woman I’d never met, someone who suffered terrible depression. In Unleaving, sadness burdens my Maggie, too. A: I hope that readers take away knowledge of the consequences of sexual assault, as well as the troubling cultural assumptions and stereotypes that persist today and not only complicate a victim’s recovery but make such crimes difficult for victims to address—or even reveal. Silence and stymied action are unfortunate for many reasons, not the least of which is the fact that sexual assaults are more likely to happen if perpetrators can count on their victims’ staying mute and can trust that social norms and beliefs (like “boys will be boys” or “drunk girls are just asking for it”) will shield them from accountability. I also hope readers take away HOPE. Hope that recovery is possible, that justice is possible. Hope that our society can change for the better. Hope that no one has to suffer alone. A: I’m currently revising a YA fantasy. It’s the first in a series about a fictional land in crisis, six scattered teens in grave danger, and a binding spell that goes awry. A: Unleaving comes out on March 26, 2019! I hope, if you read the book and enjoy it, you’ll tell others about it—and let me know, too! I love hearing from readers. You can find me on Twitter or through my website. Finally, THANK YOU, Deborah! I appreciate your interviewing me and having me (again!) on your wonderful blog. You take time out of your own writing and publishing schedule to share other authors’ books, and I’m so grateful for that. --Interview with Deborah Kalb. Here's a previous Q&A with Melissa Ostrom.